I'm so happy to have Nancy here from Owen's Olivia. When I decided that I would start blogging, picking a name was a bit tricky and difficult. I knew my blog would not be for my family to keep up with the going ons in my life, and I knew it would serve a purpose to share with others my creative adventures. I had just begun to sew, and I did not realize that almost two years into blogging I would take such a focus on the craft. I dreaded home economics in middle school! owen's olivia is unique. I share with readers sewing projects and home projects. They are the two most important crafts in my life. 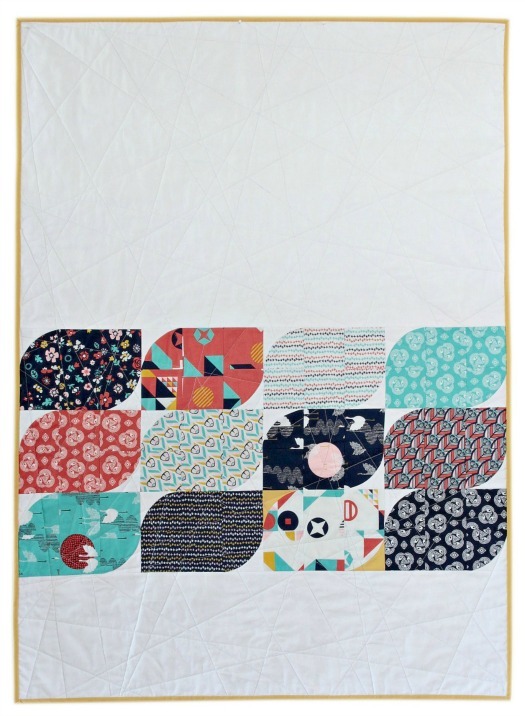 I cannot watch enough HGTV (when it's available) or browse enough interior design magazines, but I also cannot stop buying or drooling over quilting cottons! On my blog, most of the time the two are not related, as in I am not sewing something specifically for my home. I knew I could not choose a name like "Sew Trendy" or "Nancy's Interiors" that reflected specifically what I was doing because I was doing both! I have always been fond of the name Olivia. It's my middle name. (I'm actually Nancy-Jean Olivia.) I've never enjoyed having the name Nancy, and I always dreamed of changing it to Olivia. 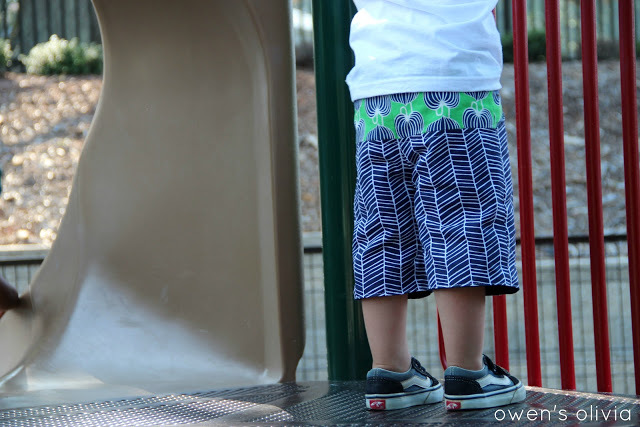 Owen is my three year old son's name, and when I was figuring out names for my blog, I worked with our names. Honestly, I just wanted a cool name that was easy to remember. Something with words or names that just fit well together but left it open to interpretation like Skinny laMinx, Westwood Acres, Lulu DK, or Zak + Fox. I'm not sure if I accomplished that with owen's olivia, but I just lack creativity in the naming department. Now that you are recognized by your blog name, are you happy with it, or do you wish you could change it to something else? I think now that I am becoming more known, I feel this is the name that will stay with me for the duration of my blogging time, and I am okay with that. I would definitely like to change my business name into something more like I mentioned above, but I am terrible at coming up with names! I am so thrilled that I started blogging. I have many friends, maybe even some family members, who do not take my blogging (or my sewing) seriously. It is so nice to be able to connect with those who understand this crazy life of blogging and respect what I am doing while I stay at home with Owen. I have met so many wonderful people through blogging, and the internet has really helped me to showcase my talents. Thanks for having me today! 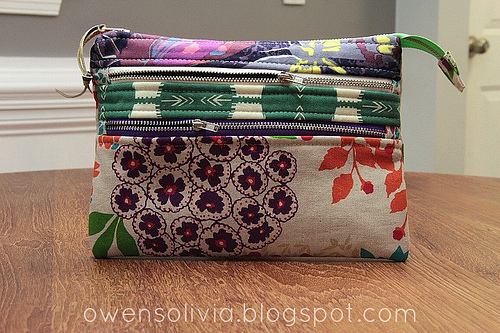 Feel free to follow along with me as I share my sewing and home projects. You can find me on Facebook, Bloglovin', Etsy, and of course on my blog. Thanks so much, Nancy, for sharing with us today. 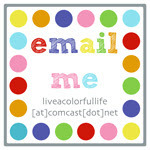 Coming up: Live a Colorful Life. Yes, it's true. 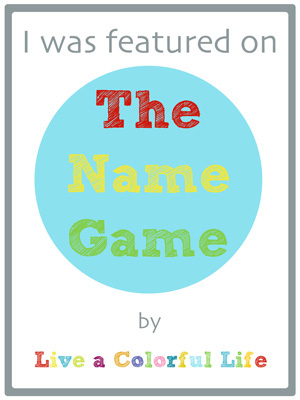 Next week I am playing the Name Game! Simply Miss Luella will be hosting and there might even be a little giveaway. I hope you will check it out! Thanks for stopping by. I'd love to have you visit again soon. I'm loving purple and orange lately. Don't ask me why. Thanks for the chance to win. I'm working on a quilt right now with neon pink and turquoise, it's bright but wow what fun!!!!! I'm making a bag with orange and green. That may sound awful but the shades really work together. I'm really loving greens and greys at the moment. It would come as no surprise that my favourite colour combo is turquoise and orange! Just now I love turquoise, yellow and white, this combination comes and goes from my life and it is right here right now. I love the things that Nancy@Owen's Olivia has made and I'm REALLY looking forward to your turn with the name game! My favourite colour combination (at the moment) is either aqua/teal/turquoise and grey or pomegranate and teal, I can't decide! I'm loving red, orange, yellow and purple (or grey) right now. Thanks for the giveaway, Cindy! So nice to meet Nancy! Currently I like the retro look of aqua and red together. Thanks for sharing. I love, love, love pink and orange together! I am still loving aqua, with a touch of red. I like using rainbow bright colors! Red and aqua seems to be my favorite lately! Turquoise and Orange is my current favorite! I am loving orange and gray right now. Thanks for an awesome giveaway! That's a tough one! Anything with gray :) Thanks for a chance to win! Today, aqua, pink and gray but tomorrow that could change - lol. Thanks for a great giveaway! Yellow and blue. That's always been a favorite and seems to be my fall back combo. Dappled sunlight colors. Goldenrod, lavender, salmon, the colors you would see in the evening out in the country. Right now? My colour palette is pinks and golds and oranges, with a smidgeon of aquamarine to give it some zing! Right now I am loving aqua and greens. Blue and green are my favorite colors, and I love them together. I've been using a combination of yellow and black...sounds a bit loud but looks quite striking. Thanks for the fabulous giveaway. I am always attracted to yellow and blue but recently I am more and more attracted to grey and yellow. Thanks for the chance to win your lovely fabric collection. I love aqua and teal but of late I am leaning towards soft pinks and lilacs. I love color...all of them! What I am working on right now is lavendar and green. Thank you for the opportunity to win your great giveaway! Thanks for the chance at a great giveaway. I have to pick ONE color combo ? This could be rough because I have a couple of 'go to' combos that I really love depending on what the project is. For modern designs I love using yellow and grey and for more traditional patterns I love antique blues and mauve. I love grey, turquoise and pink. Wow, thank you. I love rainbow colors in a gray setting. This is hard--but I gravitate towards blues and purples.....Thanks for the giveaway! Pink and orange is my favorite to look at. I wear mostly blues though. My new favorite colors are navy and yellow. Grey and yellow. Thank you! I love red and aqua. Thanks! Lime green, navy and teal - yum! And a splash of aqua too!!! I'm loving orange and green, trying to transition my living room into those colors. Thank you! I've been loving aqua, lime green, and bright yellow for months! My favorite color combo for quilting/sewing is PROYGBIV (pink is a color, too)! I've been leaning towards browns and turquoise lately, but also love the gray and yellow combination too. I am really loving rainbow pallettes with grey solids. I'm liking orange and turquoise. Orange and light royal blue! 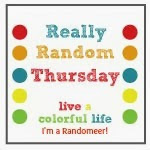 My current MOST favourite is turquoise and browns...but there are so many beautiful combinations...Thanks for the chance to win your AWESOME giveaway! Glad to have found your blog. I will be back. My favorite combo is aqua and gray!! I'm loving spring colors right now! Thanks for the great giveaway! I love bright colors....but have many projects in the works (some still in the design stage in my head) and theses FQs will be put to good use. I just finished a quilt with coral and blue. Check it out on my blog...you will recognize the fabric! Thanks again!! I'm really loving teals & grey right now. Navy, light aqua, and orange. Thanks for hosting! 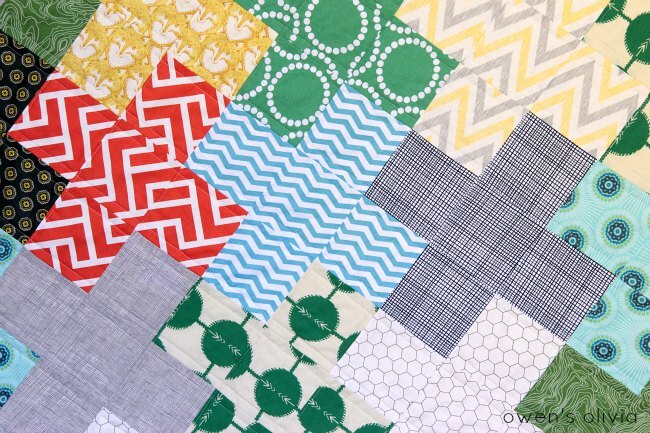 I am working on a quilt that's blue, lime green, and pink - so those are my current favorites! Thanks for the chance to win! Pink/orange/turquoise seems to crop up a lot in my fabric choices lately. Right now I'm loving berry red/pink with hints of aqua and grey. I'm also loving the colors on a pink dogwood tree: pink, cream, light green and brown/grey. Raspberry, aqua, green and grey are my favorites today! Thanks for the giveaway, and the intro to Owen's Olivia! I love the name Olivia too. I've always been a big fan of rainbow colors, but I also love brown and lime green right now. I love a deep teal and gold. The deep, rich jew tones are just beautiful! Thank you! These would be perfect for a quilt I am in the process of planning to make for my daughters! Teal, mustard and fuchsia. Thanks! I love gray, yellow and maybe a little black and white thrown in too! Thanks for the chance to win! I love mixing black, white and grey with some nice bright colors. I'm loving yellow and gray right now! My favorite color combination is (and has been for years now) teal, purple, magenta and black. I am making a quilt in black, white and yellow. I love how this looks, but my all time fav is aqua and brown. I always loved pink and gray but right now I'm into pink and orange. Orange seems to be a very popular color at the moment! I love blues and green, with a touch of yellow or orange to make it pop! Right now my favorite color combi is lime green/fuchsia. I've always loved black, white, and red together. I'm working on an aqua, green, and yellow quilt. So fun for spring! I like aqua and red. But the quilt I am working on is a combination of a lot of bright colors, mostly polka dots. I call it my Happy Quilt. Thanks for the great giveaway. I have a love for aqua, yellow & gray right now. What a great bundle, thank you for the chance to win! I love jewel tones! So pretty together! love deep purple and grey! Fave combo right now is blue and white, very maritime and reminiscent of the clouds and water here where I live! After years of being green my new favorite color is teal. White and blue, but also love red and yellow. Great give away, thank you! I've been leaning toward lime/aqua/orange lately, it's just a cool, summery combo, isn't it? I like aqua and yellow with a splash of lime green! Thanks for a lovely giveaway!! I love purple and green. Oh thank you for the giveaway! I'm doing the lime/yellow/magenta a lot lately, but I'm going to read all these answers and find some new ideas! Green and Grey is my favorite right now! My favs are turquoise, yellow, green and grey. i love the colors of autumn - especially orange! Yellow, orange, and red. Love those colors. My favourites change so much, but I always love grey and purple. Thanks for a wonderful giveaway. I'm loving aqua with just about any color. I even painted my sewing room aqua. Thanks for the chance to win! Thanks for the chance to win! I like aqua and gray right now! My favorite color combination is fuchsia and purple. I love pink and green! I can't say that any one is my favorite. I just love bright colors! I'm surprised that so many different combinations work and I tend to like so many! I'm loving aqua and red right now. I don't have any fabric in those colors yet, but I'm gonna! Thanks for the fun giveaway! I love grey and green right now! My favourite is lime green and grey. Grey and any colour are what's on my brain these days. love purple and green. But I also love gray with ANYTHING! I am doing a lot with green, blue and white. I love red and aqua! I don't really have a favourite colour combination but am always drawn to brights. What a great prize bundle! You are too generous. I have been playing with yellow and gray lately. What a generous giveaway. I am enjoying using turquoise with just pink lately. I have also started using a little gray in my projects. I love aqua with almost everything. Thanks for the chance to win a generous and beautiful giveaway! I love green , blue, and purple togather. But all most any thing with green is wounderful. Grey and yellow are my current obsession. I love green and brown together. I'm making a pickle dish in all neutrals and loving it! Red and teal are my favorites lately! What a great prize, thanks for the chance! Currently I'm loving green, grey and black. Greens and blues,....wow would love to win this stash. 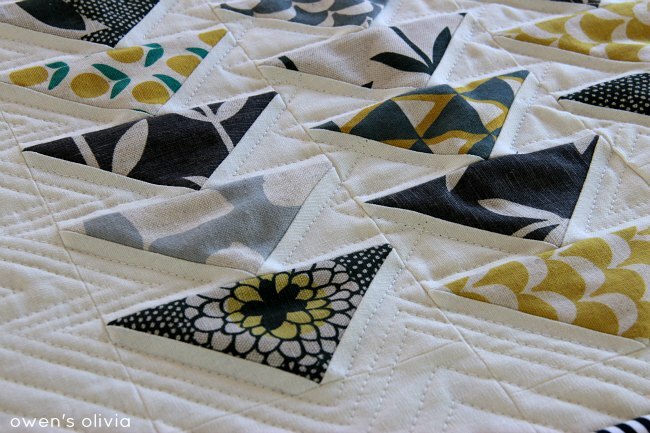 Want to make a maple leaf block quilt. This stash would make a beautiful quilt. Thank you. I like navy blue, raspberry and mustard yellow together. Also thanks so much for the chance to win! I really like blue and black lately. Usually on a white background. (I love everything on a white background). Thanks! My youngest daughter is an Olivia :) I love purple & black. Also things made with all of the rainbow colors make me happy too. Thanks for the chance to win! Aqua and just about anything! Purple and anything else because i LOVE purple!! thanks for such a generous giveaway. my favorite combo is green and brown. I like ocean blues and greens. I do like turquoise, bright green and white but then I also like scrap-tastic multi colour brights. Do I have to decide? I love colour. Looking to make a rainbow quilt, so can't decide on one color! Thanks for the giveaway! Pink, mauve and soft green are always among my favorites, but lately I've been eyeing bright orange, bright yellow, white and grass green. Summertime! Always lime green, yellow and grey for me! How nice to meet Nancy-Jean! Her work looks wonderful - especially the geese. Thanks for introducing her to us. Favorite color combination for me has to be lime green with grey, black and white. I like brights with whites. Thanks for the chance to win! 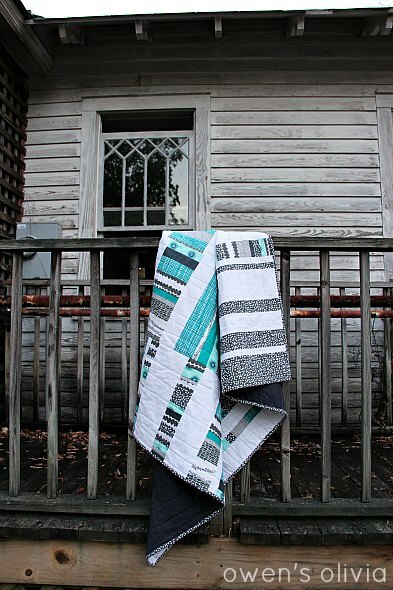 I love to see rainbow quilts with white or grey sashing. How wonderfully generous of you!! Orange and whatever. It seems to have jumped up to my number once favorite at this time. A close second is the yellow/black/grey/white combo. Thanks again for the NAME GAME...love it!! I love yellow and orange right now. Thanks for the give a way. Right now is blue and green. Thanks for this giveaway! Lately I have been working on a pillow, and really enjoying a mix of pinks and oranges. Turquoise and coral....aqua and anything! I am liking anything with gray! I'm loving purple and aqua right now. Red and blue. Thanks for the giveaway! I am loving blues - thanks for the chance!! I have few solids, these would be great! Aqua and red are a fun combo. I've been pairing red and turquoise. Bright and fun! I'm favoring bright Batiks in all colors of the rainbow lately. I love purple an green. Thanks for the giveaway opportunity. I love your blog! i like aqua and cherry and grey. I love aqua and red on a white background. I love greens. You have a wonderful selection, thank you. I'm diggin' grey and coral at the moment!